I received the good news today that printed copies of Microsoft Exchange Server 2013 Inside Out: Mailbox and High Availability should be available at the end of September. Amazon.com has updated their date to October 1. Paul Robichaux’s companion volume, Microsoft Exchange Server 2013 Inside Out: Connectivity, Clients, and UM, is still tracking for an October 21 date. It’s a little behind my book for a couple of reasons. Paul would say that he’s handling all of the complex stuff like connectivity (including hybrid connectivity with Office 365) and his favorite topic, Unified Messaging. I say that he’s just slow at writing and slower in responding to the very intelligent and probing comments from his technical reviewer. In any case, both books will be available soon and I am very happy to be in this position. 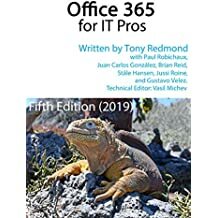 The news also means that printed copies should be available at IT Connections in Las Vegas (September 30 to October 3), where we have an excellent line-up of sessions covering Exchange, Lync, and Office 365 alongside the agendas for the other conferences that together form Connections. Should be great fun! This entry was posted in Exchange 2013, Writing and tagged Exchange 2013 Inside Out, Exchange Connections, Microsoft Press. Bookmark the permalink. Thanks for the update Tony! I’m looking into the IT / Dev Connections also, I’m definitely interested in meeting other Professionals. This will be a Great book for any Exchange 2013 On-Premises customers worldwide. Guys get this book & build a solid Exchange 2013 On-Premises for your Customers and forget about Public Cloud BS………. Looking forward to receiving the Exchange “Bible(s)” which have already been pre-ordered! I got this new book last wek and again its a wonderful book. The thing that I liket most about your books is the language of the book. Thanks for writing such a valueable book. A good thing is that a dedicated chapter related to Public folder. I noticed that in this book there is no chapter about CAS or Transport functionality. Are you writing anothe book to include it? If yes, please let us know when is the plan to releast it?